FPBA executed the design through construction administration of a repositioning project at HCP’s Sorrento Gateway Campus in Sorrento Valley. 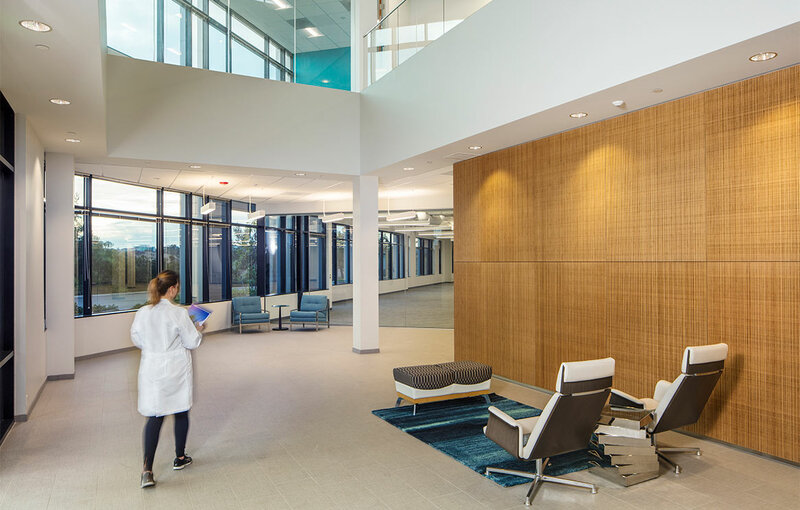 The project comprised renovations to 33,000 square feet of lab, office, lobby and amenity space as well as a new 1,700-square-foot fitness center. FPBA renovated two floors of an existing building as speculative work, prioritizing adaptability to ensure the space could meet the needs of various future tenant scenarios. 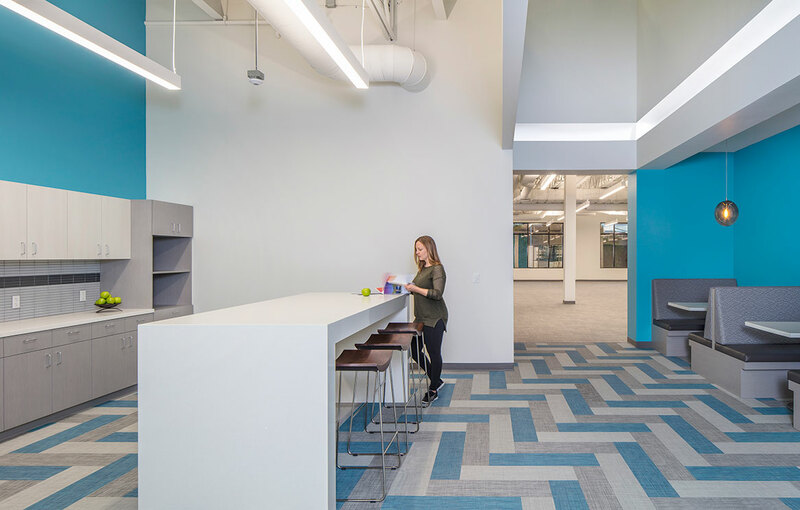 The first floor features open speculative space, a break room and speculative lab, and the second floor features open office with flexibility to be a lab. 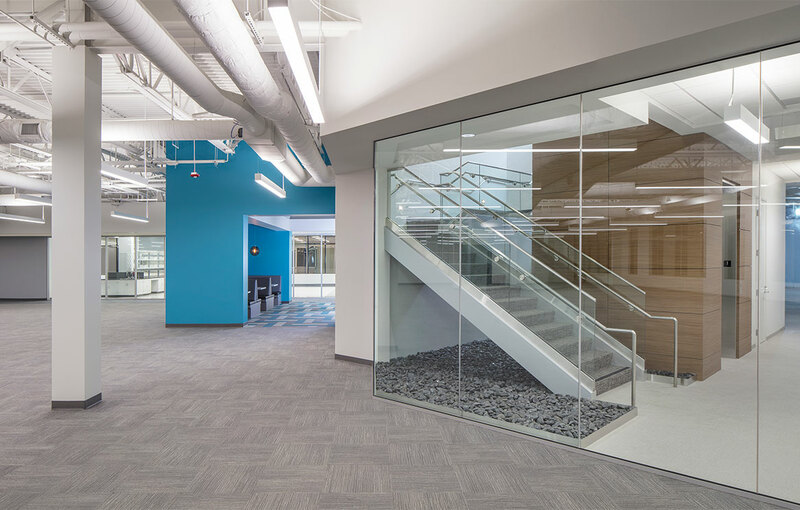 A portion of the second floor was removed to create a two-story lobby open to a balcony and glass conference room on the second floor and future tenant suites on the first floor, creating a welcoming entrance with more natural light and visibility to the refreshed interiors. 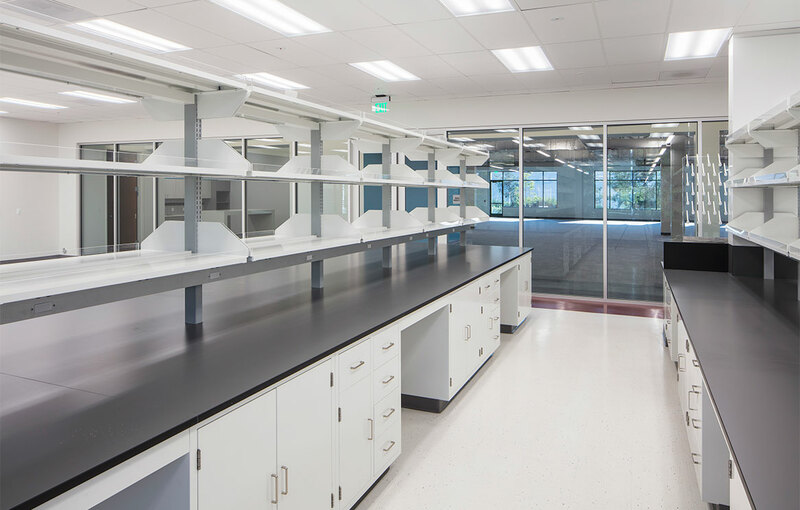 The renovation retains the great lab infrastructure while removing walls that blocked natural light and ocean views. The open ceilings provide a new canvas for future tenants to make their own statement. An elevator core clad in wood veneer, plywood bamboo lobby wall and smooth river rocks underneath stairs bring in elements of the natural environment. 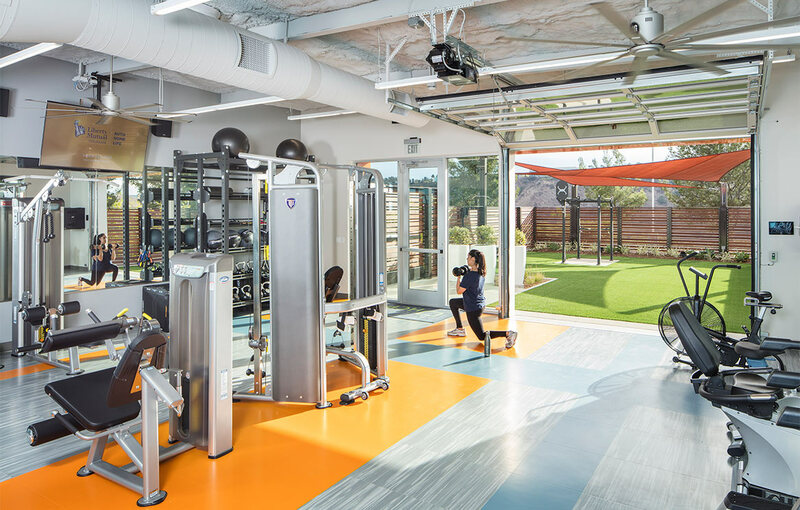 FPBA added a fitness center to an underutilized building on the site, which provided new locker and shower rooms, along with a seamless indoor/outdoor exercise space connected by a glass roll-up door. The interior design is open and light-filled with bold, stimulating colors. An orange fabric shade structure creates a pleasant outdoor experience and works with the slatted Ipe wood fence and bamboo plantings to provide screening and privacy.